Anthony Freeman The Original Jester with freestyle fire juggling. Ideal for medieval fayres, fete's, gala's, hotels, corporate events, weddings, parties, etc. Statuesque Physical Arts - with Fire show using Fire Poi, Fire Fan, Fire Dance, Glow Poi (can be performed with or without music) also freestyle fire poi, fire fan. Ideal for medieval fayres, fete's, gala's, hotels, corporate events, weddings, parties, etc. 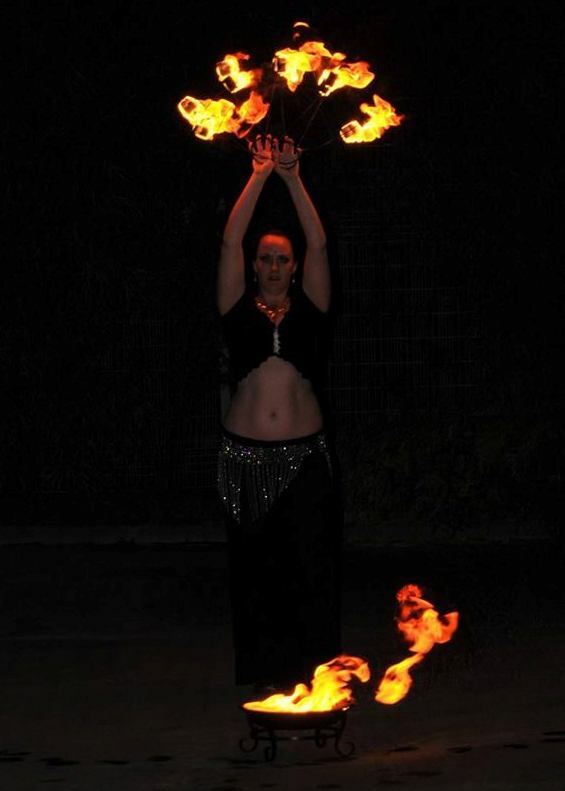 Glenn Scott Freestyle fire Ideal for medieval fayres, fete's, gala's, hotels, corporate events, weddings, parties, etc. The Dream aka Tink Bruce Freestyle fire, Angle Grinding Ideal for medieval fayres, fete's, gala's, hotels, corporate events, weddings, parties, etc. Edd Muir 10-20mins Fire show and Freestyle fire Ideal for medieval fayres, fete's, gala's, hotels, corporate events, weddings, parties, etc. Marion Kenny Fire dance (to music) Ideal for medieval fayres, fete's, gala's, hotels, corporate events, weddings, parties, etc. Peter Baynes Freestyle fire Ideal for medieval fayres, fete's, gala's, hotels, corporate events, weddings, parties, etc. Chris Ehrenzeller of Aurora Carnivals Freestyle fire Ideal for medieval fayres, fete's, gala's, hotels, corporate events, weddings, parties, etc. Asha Tank Freestyle fire. Ideal for medieval fayres, fete's, gala's, hotels, corporate events, weddings, parties, etc. Mark Bant Freestyle fire. Ideal for medieval fayres, fete's, gala's, hotels, corporate events, weddings, parties, etc. J'n'H Reynolds Freestyle fire. Ideal for medieval fayres, fete's, gala's, hotels, corporate events, weddings, parties, etc. Defying gravity aka Tom Rolfe Fire show with fire juggling, fire eating Ideal for medieval fayres, fete's, gala's, hotels, corporate events, weddings, parties, etc. Bo the Clown aka Derek Carpenter Freestyle fire Ideal for medieval fayres, fete's, gala's, hotels, corporate events, weddings, parties, etc. Charlie Burns aka Charlie Carpenter 20-30mins Fire Show with or without music but definitely with audience participation! Ideal for medieval fayres, fete's, gala's, hotels, corporate events, weddings, parties, etc. 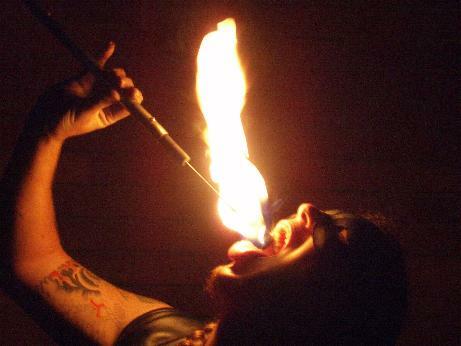 Nathan White of Luna Trick 15-20mins Fire show plus Freestyle fire Ideal for medieval fayres, fete's, gala's, hotels, corporate events, weddings, parties, etc. Knot Rite Circus aka Trudi Patient Freestyle fire Ideal for medieval fayres, fete's, gala's, hotels, corporate events, weddings, parties, etc. Shoestring Circus aka Richard Gillet 10-20mins Fire show plus Freestyle fire. Ideal for medieval fayres, fete's, gala's, hotels, corporate events, weddings, parties, etc. Zoot Circus aka Tim Byrom 10-20mins Fire show plus Freestyle fire. Ideal for medieval fayres, fete's, gala's, hotels, corporate events, weddings, parties, etc.